Hillsdale bed and breakfast travel guide for romantic, historic and adventure b&b's. 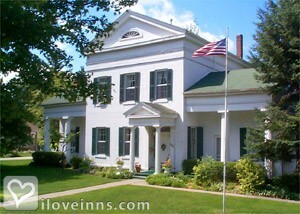 Browse through the iLoveInns.com database of Hillsdale, Michigan bed and breakfasts and country inns to find detailed listings that include room rates, special deals and area activities. You can click on the 'check rates and availability' button to contact the innkeeper. If you and your family would want to spend a relaxing yet educational vacation, you may opt for Hillsdale County, Michigan. Never ever forget the Hillsdale bed and breakfasts which the town is well known for and you would be very surprised at the quality of service they provide and the fresh produce they offer.